Brisbane athlete Andre Rivett will compete in the SU-DS Athletics Championships in Portugal starting on Thursday 12 October. Australia’s sole and first representative at the Athletics World Championships for athletes with Down Syndrome departed Australia on Sunday excited, nervous and confident. Sport Inclusion Australia CEO Robyn Ssmith was in Brisbane to wish Andre well as he embarks on his first World Championships. 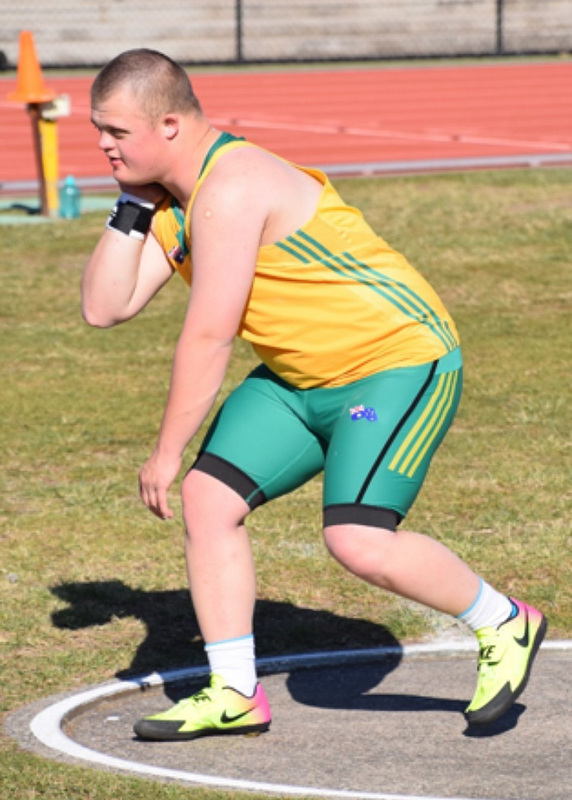 “Andre is Australia’s first athlete to compete at these championships, it was a significant moment for Andre and Sport Inclusion Australia, so I was pleased to be able see him off and wish him and his mother and father all the best for the Championships. We hope Andre’s performance will encourage more athletes to compete and hopefully represent Australia at the next opportunity.” Smith said. In all of his recent competitions Rivett has thrown personal best performances in the shot put and discus events, performances that put Rivett in medal contention based on previous World Championship results. “Andre is focussed on personal bests and hopefully that will be good enough for a medal, but if not that’s OK.” Said Steven Rivett, Andre’s father who is travelling with Andre as Coach. • Shot Put 15 October at 11:00am (Portugal), 8:00pm (Brisbane).